The Craft Bakers Association tells us that there are around 4,500 small craft bakeries in the UK, and that sales of artisanal breads have risen by a staggering £70m since 2009. 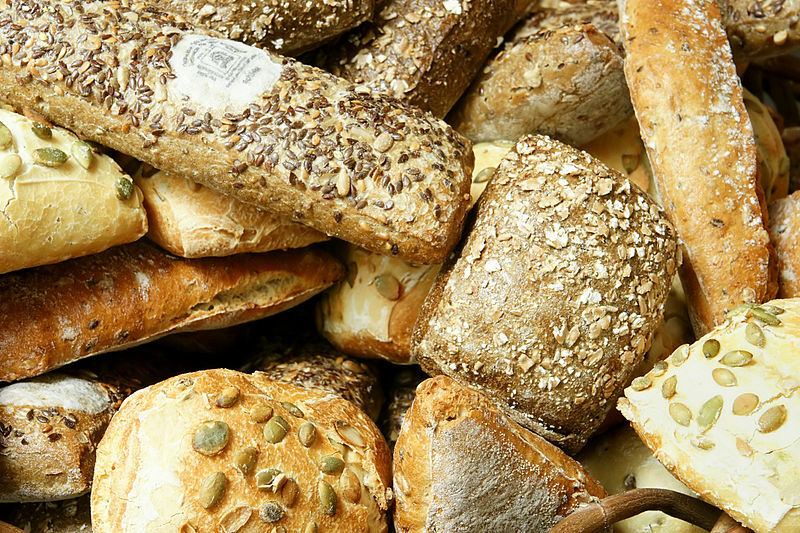 Therefore it’s probably not surprising that we’ve received lots of enquiries lately from bakeries who are looking to move away from polythene bags and towards paper packaging. It seems likely that as the public’s desire for something a little more special than a sliced loaf grows, so does their awareness of the packaging their bread comes in – from how it looks and feels, to where it comes from. Whilst we can almost certainly attribute this to environmental concerns for the most part, it’s probably fair to say that there’s a psychological element to this too. When many of us think of bread we think of it as a wholesome staple food, and the basis of such comforting treats as bacon sarnies, hot buttered toast and even the delicate finger sandwiches of afternoon tea. And many of us certainly prefer the image of a homebaked loaf being sliced on a board to that of fishing it out of a polythene bag in limp squares. Think about adverts for bread – what’s the first one that comes into your head? I would guess that for a large proportion of people, you’re imagining a boy in a cap with a bike, ascending a big hill in a village of yesteryear. It’s exactly this odd nostalgia about baked goods and bakeries that makes a warm loaf in a paper bag seem like one of life’s simple, timeless pleasures. Good old-fashioned brown paper bags are a perfect way to create this look/feeling/brand. As well as looking a bit retro, they address our modern concerns about sustainability and the environment too. From a branding perspective this is a positive double whammy. In particular our larger block-bottom kraft bags are becoming a popular replacement for the much-maligned polythene carrier bag. They provide a stable base for packing in store, and are manageable to carry. They can hold at least two standard loaves with room for your smaller treats too. For rolls, you could try our 12.5″ x 12.5″ kraft paper bags, strung for convenience. For single items they’re also available in smaller sizes, and in white MGS paper. For your prettiest pastries, you could try a white film front paper bag – also suitable for pies and pre-made sandwiches. We have white paper baguette bags, and film fronted ones for baguettes you’ve already stuffed! So, in a nutshell, we have everything you need to make the transition from polythene to paper. We can help your customers feel the fuzzy glow of bakery nostalgia, and hopefully help your business to feel the fuzzy glow of improved sales! Have a browse through our paper products here, or if you’re local, pop in to see us in person. We’ve got everything you knead!